For 30 years oapl has provided a dedicated commitment to servicing orthotic and prosthetic clients and professionals throughout Australia. We offer services ranging from sports and acute injury management through to complex neuromuscular bracing. In conjunction with these we run a specialised paediatric service and compression therapy program. Offering a personalised service, all clients at oapl are treated by tertiary qualified and experienced practitioners at one of our many clinics around the country. oapl is also one of Australia’s leading online suppliers of bracing, sports supplies and compression garments. Check out our online shop at oaplshop.com.au. All of our products have been designed, sourced and tested by our clinical team, who are on hand to provide advice and can specifically tailor products to suit your individual needs. For an appointment please contact us on 1300 866 275 or visit our website at oapl.com.au. You can also purchase our products directly from our online store at www.oaplshop.com.au. 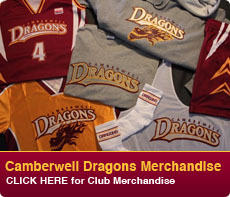 oapl are proud to sponsor the Camberwell Dragons! As a part of our Community Sports Program, when you purchase products through our online shop or at one of our clinics, 5% of your purchases will be donated back to the club! Use the code word ‘dragons’ on checkout and 5% of your purchases will be donated back to the club. 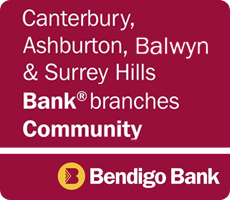 Discount: as a gesture to help the Camberwell Dragons community, mention Camberwell Dragons at Balwyn Sports and Physiotherapy Centre and receive 15% discount off any services (excludes products).